Fall is a very romantic time of the year for a wedding. Fall weddings reflect the autumn season and a new beginning. Mother nature transforms the colors of the landscape before our eyes. People think about spending more time with their loved ones in anticipation of the holiday season. Here are a few ideas to help you get started with your fabulous fall wedding. Since fall is such a gorgeous time of the year many brides-to be may opt for an outdoor wedding. Fall has become such a popular time of the year for weddings because the weather is the perfect blend; not too hot and not too cold. To help you choose a location think of places that remind you of romance and reflect the autumn season. 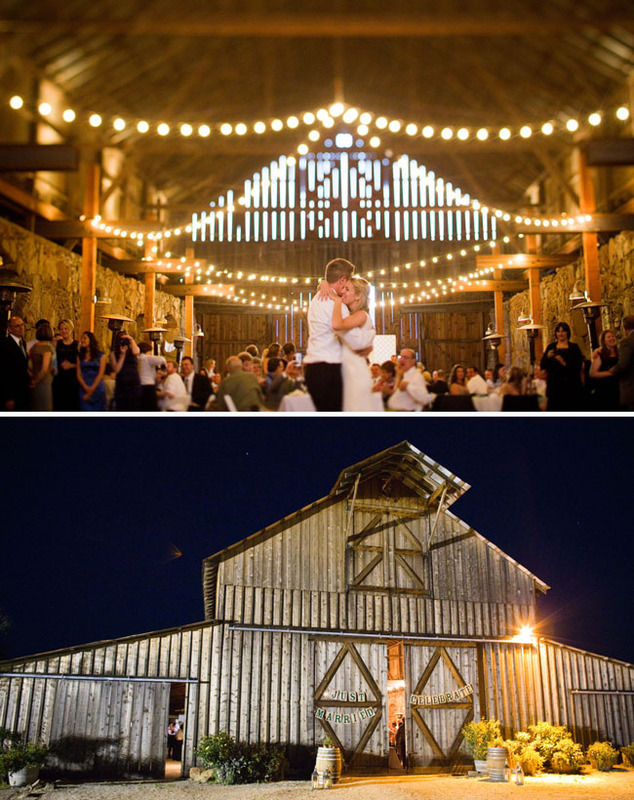 Some great locations to consider for an outdoor wedding are apple orchards and vineyards. Some great indoor locations are historical inns with a fireplace, 18th century churches, old castles or a barn. Typically any location with the view of fall foliage is a great location. Consider a theme that reflects the warmth and tradition of the fall season; fireplace, fall leaves, pumpkins, candle, maple and home-made crafts. The classic fall colors are reds, oranges, browns and yellows. Some other great colors for a fall wedding are chocolate browns with champagne or blue. However, any color will work. The options for a fall wedding are endless. 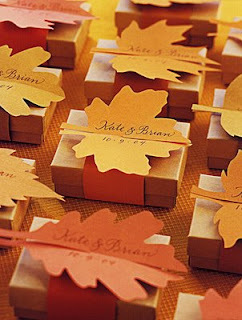 There are a host of fantastic wedding favors and decorations to complete your fall wedding theme. Choose wedding favors that evoke feelings of the bountiful harvest of the autumn season. Edible wedding favors work well. For example, apple cider with a "thank you" card, maple cookies or honey jars. Non-edible wedding favors, such as wooden picture frames, leaf shaped soaps or autumn themed candle are elegant wedding favors. Some great flowers to help enrich your fall theme are mums, carnations, hydrangeas, roses in rich colors and daisies. You could get a little adventurous and use wheat stalks with some berries tied on with a fall colored ribbon or bow. There are plenty of flowers to choose from but to save money you may want to choose flowers that are local and in season. Any cake will work for a fall wedding. However, some brides-to-be may opt to incorporate the fall theme by serving a spice cake. While a traditional white cake will work, you may consider incorporating nuts, caramel, apple or fruit with your icing.